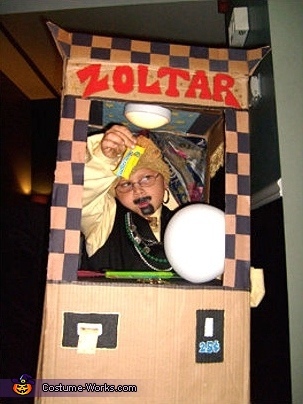 This is Rodney as Zoltar, who dwells in the Fortune Telling Machine from the Movie "Big". Rodney's mom, Diana, created this costume. Diana says she found most of the materials either at Home, the local Dollar Store and/or theThrift Store.